Over at Scrap Chicks I’m in charge of posting two of the Hen Party Friday challenges every month. Today is my first one this month and I’m challenging to chicks to make a layout about food. You can interpret that in a lot of ways. I made mine about my cakes. 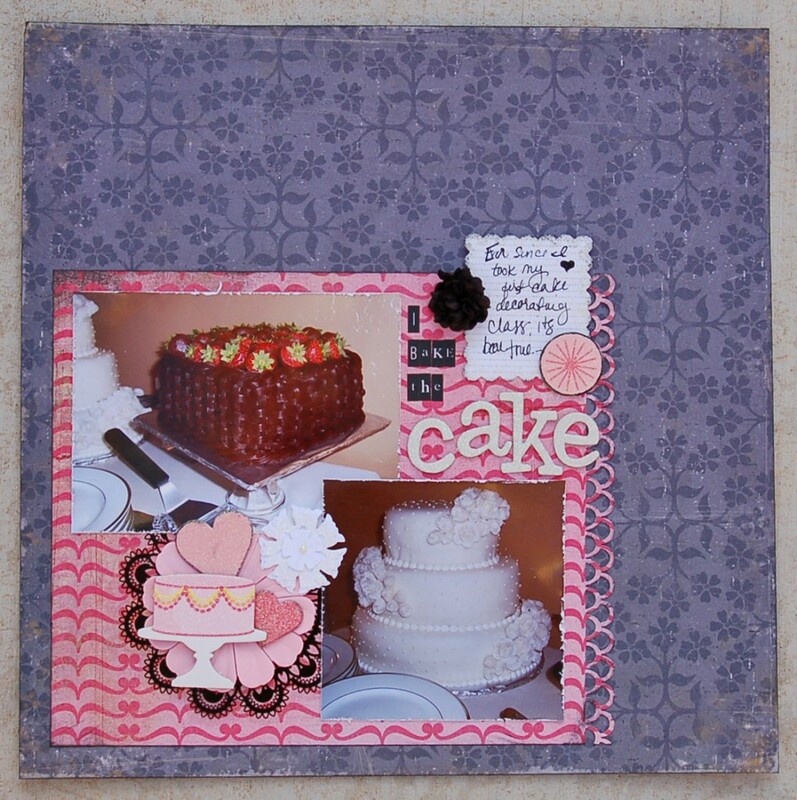 I used Basic Grey and Crate papers, Martha Stewart cake embellies and edge punch. Making Memories and American Crafts letter stickers, Maya Road doily, Paper Studio flower, and little Primas that I made the black flower with. Head over and check it out! Previous postThis month’s challenge at gel-a-tins!